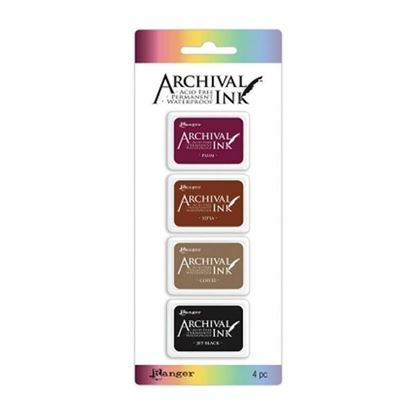 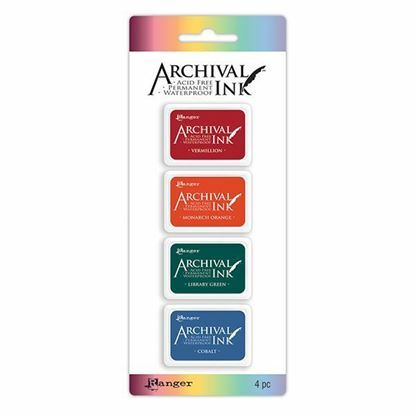 Archival Mini Ink Pad Kit 4 Kit 4 (Includes Vibrant Fuchsia, Paradise Teal, Majestic Violet & Shadow Grey). 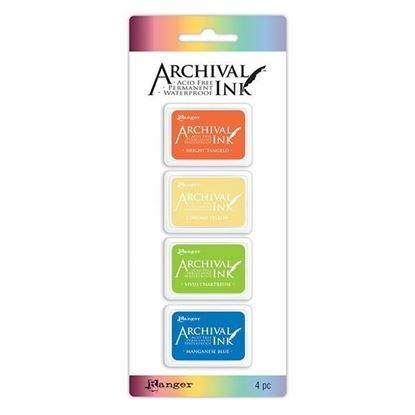 Fade resistant and waterproof Permanent on matte and gloss papers Pad Size 1.25" x 1.75"
Archival Mini Ink Pad Kit 3 Kit 3 (Includes Bright Tangelo, Chrome Yellow, Vivid Chartreuse & Manganese Blue). 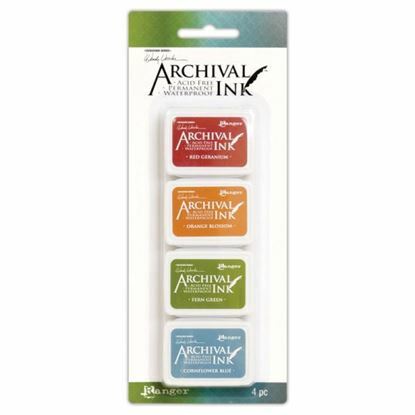 Fade resistant and waterproof Permanent on matte and gloss papers Pad Size 1.25" x 1.75"
Wendy Vecchi Archival Mini Ink Pad Kit 4 Kit 4 (Includes Red Geranium, Orange Blossom, Fern Green and Cornflower Blue). 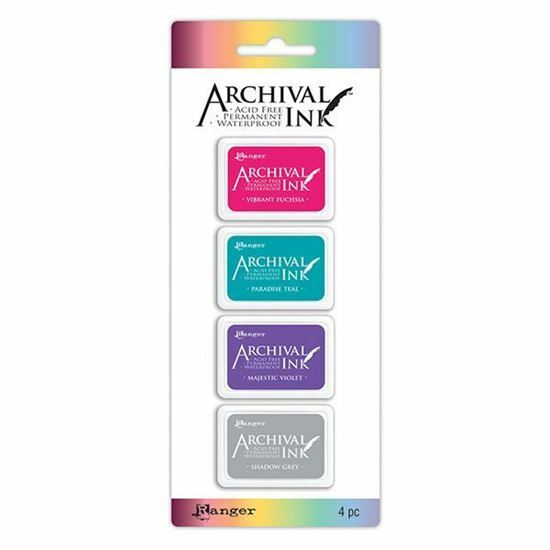 Fade resistant and waterproof Permanent on matte and gloss papers Pad Size 1.25" x 1.75"